Call of Duty developer Infinity Ward was evacuated from their Los Angeles-based office today after allegedly receiving an emailed bomb threat. Speaking to Kotaku, one source said that police arrived at the studio this morning and instructed everyone to leave. There were no issues or complications during the evacuation. The Infinity Ward bomb threat appears to be part of a larger string of bomb threats that have been hitting various establishments across America. The dozens of emailed threats each request a Bitcoin payment of $20,000. Institutions targeted include businesses such as Infinity Ward, schools, and government offices. Private residents have also reported receiving the emails. Threats have been reported all over the country, including credible reports coming out of Colorado, Delaware, Florida, Ohio, and California, in addition to a number of other places across the country. On Twitter, the NYPD stated that searches have been conducted, but no devices have been found. The NYPD’s Counterterrorism Bureau is currently monitoring threats, but doesn’t believe they are credible at this time. We are currently monitoring multiple bomb threats that have been sent electronically to various locations throughout the city. These threats are also being reported to other locations nationwide and are not considered credible at this time. 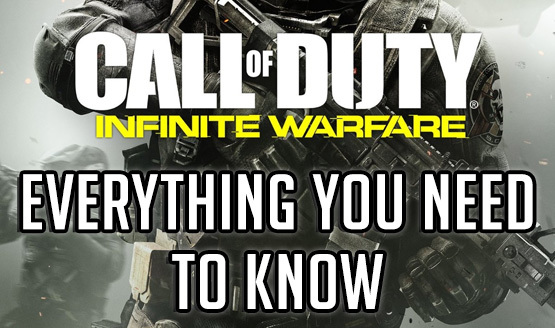 Infinity Ward is the studio responsible for Infinite Warfare, the Modern Warfare series, and whatever the 2019 Call of Duty will be (if the series’ three-year cycle continues). We’ve reached out to Call of Duty publisher and Infinity Ward’s owner, Activision, for comment on the bomb threats at the company and will update this story with any additional information they are able to provide.